The Lake Louise accommodation guide is the best place to find and research lodging in Lake Louise Alberta Canada. Here you will find information for all Lake Louise hotels & lodges, cabins & chalets, as well as the latest Lake Louise hotel deals and special offers and packages. 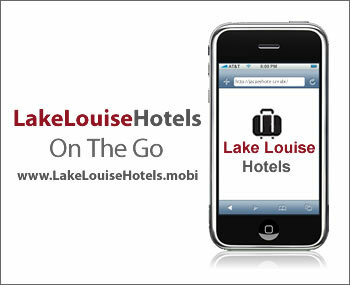 To help decide on the best location for your hotel in Lake Louise, we have included a comprehensive Lake Louise hotels map which shows all accommodations in Lake Louise. Located in the village of Lake Louise, surrounded by forests and mountain views, this Lake Louise hotel is known for affordability and comfort. Accommodations include couples suites and multi-bedroom suites, and hotel amenities include a hot tub, steam room, and WiFi. This luxury Lake Louise hotel enjoys an exclusive location overlooking Lake Louise itself with spectacular lake and mountain views. Guest rooms and suites are beautifully appointed and the hotel boasts an excellent selection of restaurants, heated pool and spa treatments. Located close to the village, the Lake Louise Inn is one of the more affordable hotels in Lake Louise offering a variety of accommodations including suites with kitchens. Amenities include 2 hotel restaurants, bar and swimming pool.